Floyd Odell Geurin, 86, of Lookout Valley, died peacefully Nov. 10, 2017 surrounded by his family. He was preceded in death by his parents, Beatrice Shipley and Floyd Geurin; step-father Arnold Shipley. He is survived by his wife of 64 years, Geneva Geurin; sons, Tony(Betsy)Geurin and Shawn(Helen)Geurin; grandchildren, Craig, Zachary, Amy and Lindsey; sister Kay Lane and brother Tom Shipley; several nieces and nephews. Mr. Geurin was a member of Wauhatchie United Methodist Church, where he served tirelessly at the church food pantry and in several other duties. He was also a member of the Lookout Valley Lions Club. He was a 1950 graduate of Kirkman Vocational School, and he served in the United States Air Force during the Korean War. He retired from AT&T after 34 years of service. In lieu of flowers, memorial donations can be made to Wauhatchie United Methodist Church, 3401 Cummings Highway, Chattanooga, Tn. 37419, or the charity of your choice. 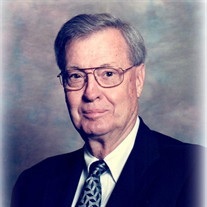 Graveside services will be Tuesday, Nov. 14 at 2 p.m. at Lakewood Memory Gardens West on Cummings Road in Lookout Valley with Pastor Tommy Messer officiating.